These three trees at the end of the swamp are popular nesting spots. There is a Great Blue Heron tucked down on a nest in the upper right and the Great Egrets are looking around for the best spots. 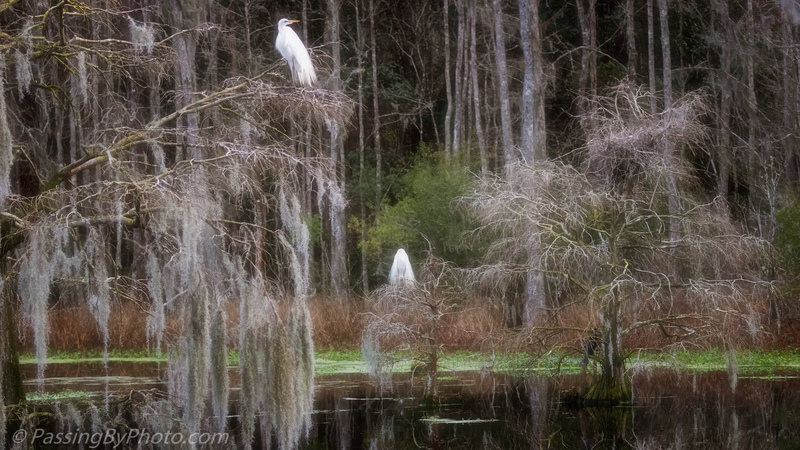 Taken 2/26/2019 before the Great Egrets started to build.